For while a noticeable trend is taking shape in terms of how the US administration has been responding to any and all acts of terrorism against the US. The usual reaction is that these acts are isolated incidents performed by lone-wolves who are acting on their own behalf and have no ties to an organized terror group. The latest assessment of the attack on the US embassy in Benghazi as a spontaneous reaction to an anti-Islam movie rather than a pre-planned attack should raise enough eye brows as to the level of readiness or even comprehension the US National Security advisors possess, not to mention, the type of intelligence they receive. If the Ft. Hood shooting, the Detroit Christmas Day underwear attempted bombing, the Times square attempted bombing, and the US embassy terror attack are all spontaneous or isolated incidents, one must then wonder as to why investigative reports on these incidents reveal a much troubling reality in terms of the connection between these incidents or attempts and organized groups as Al Qaeda. The recent out-of-control riots all over the Islamic world over an anti-Islamic movie which majority of Muslims were not even aware of until the US embassy in Egypt issued an apology statement concerning this low budget YouTube video, serves as another example of the lack of understanding by the administration of how the Islamic culture works. Such apology sparked an unexpected wave of violence that spanned from the far Western region of North Africa all the way across to South East Asia, resulting in the tragic death of the US ambassador to Libya and the death of scores of other innocent people. It is quite disturbing to see this trend of an attitude of downplaying such major and serious terror operations which stem from the core agenda of Radical Islam. Either the national security advisors are not receiving proper intelligence or they are down-right clueless to the risk of radical Islam and are ill-equipped to assess the type of intelligence they are receiving. Either scenario is very troubling and causes a serious dilemma that demands an explanation. 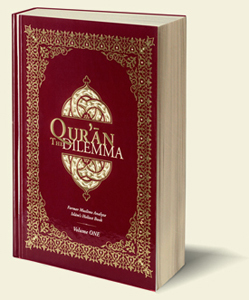 To learn more about the danger of radical Islam, consult our book “The Quran Dilemma”.